The second of two special episodes where Ian hands over the interview reins to Simon Iatrou of Magenta Associates, to explore the British Institute of Facilities Management’s intentions to change their name to embrace workplace, and seek chartered status. If you haven't listened to part 1 yet, go do that first! Simon is joined by key members of the BIFM leadership team: Chairman Steve Roots, CEO Linda Hausmanis, and Director of Insight Chris Moriarty. Ian also joins the discussion as 3edges Director and workplace insight specialist. This is essential listening if you have an interest in the future of FM, the workplace discipline, the role of professional bodies… and especially if you are a voting BIFM member - enjoy! How long?! Trust us, it’s a cracker… In this episode Ian chats with transformational HR guru Perry Timms about next-stage organisations (after Frederic Laloux, Ricardo Semler etc.) and the often misunderstood people power of workplace. Proof that workplace matters? It’s right here. A huge thanks to ProFinda.com for hosting this episode. Enjoy! How good is the workplace information we rely on? In this episode Ian is in conversation with Kerstin Sailer from The Bartlett at UCL and co-founder of Brainybirdz, promoting scientific thinking in workspace design. It’s a cerebral counterpoint to the last episode, featuring space syntax and social network analysis just for starters. Enjoy! Is the future of HR, IT and FM at the mercy of people data analytics? This episode Ian speaks with Ben Waber, ex of MIT and CEO of Humanyze about their IoT-enabled ‘Moneyball for business’ approach… essential listening. Huge thanks to the British Institute of Facilities Management for allowing Ian to interview Ben before his ThinkFM keynote in June. Enjoy! It’s time for a different workplace angle. This episode Ian chats with Bee from thepioneers.co.uk about their take on leadership and cultural change. Expect much discussion of normal curves, dancing at festies and those much-loved purveyors of PERi-PERi chicken. Enjoy! Ian is in conversation with Mark Eltringham, publisher of workplaceinsight.net. With Mark’s gently provocative wit they explore a range of workplace topics, including industry reviews and awards, professional bodies and identity, hypnotism, the proletariat, and Grand Designs. Don’t miss this one! Ian is in conversation with Polly Plunket, programme director of the recently published Stoddart Review. 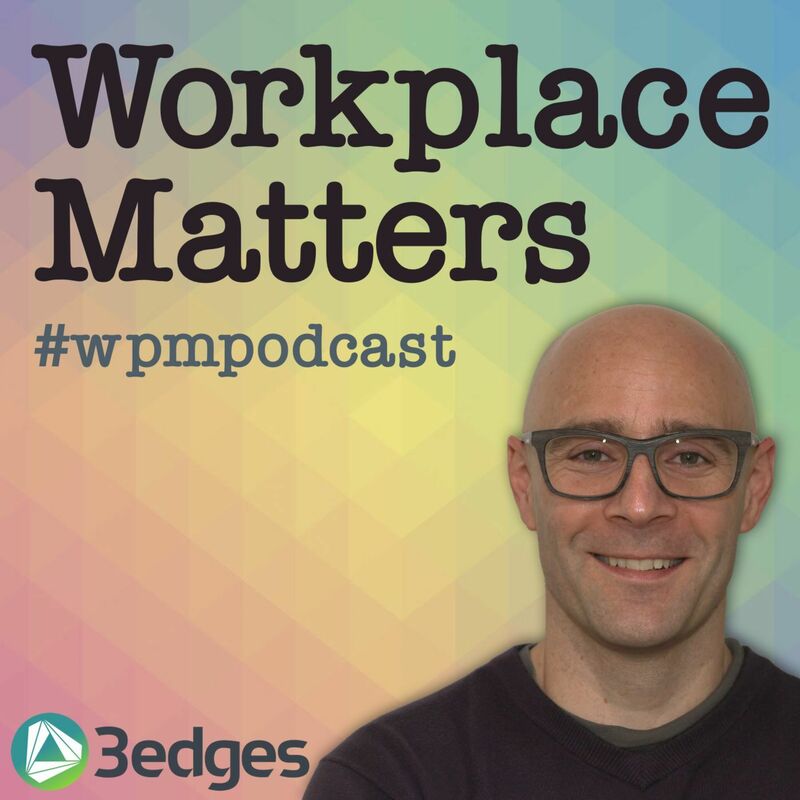 Think of this episode as the director’s commentary to the Review, where you get the all the gen about this incredible team effort to raise the status of workplace with senior leaders. Ian and Mark Catchlove continue their extended ‘deep dive’ conversation focusing on Robert Propst and his seminal workplace text from 1968, ‘The office: A facility based on change’, including where it all started to go wrong – the birth of the dreaded office cubicle. As a special treat, this episode also closes with the full length disco mix of our magnificent theme tune from Handspan. What’s not to love? Ian talks with Mark Catchlove, Director of the Knowledge and Insight Group at Herman Miller. In this first part of an extended ‘deep dive’ conversation, they focus on Robert Propst and his seminal workplace text from 1968, ‘The office: A facility based on change’. It's a workplace geek-out with some fascinating and surprising insights that are as relevant now as they were almost 50 years ago, including a certain plastic guerrilla.